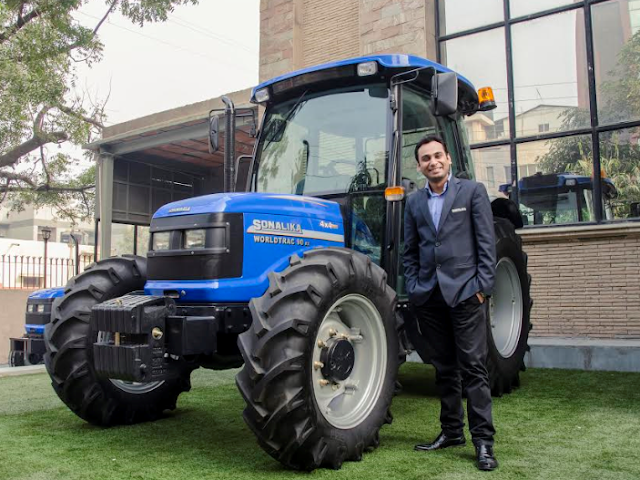 Chandigarh, February 15, 2017, New Delhi: India’s youngest and third largest tractor brand, Sonalika International Tractors Ltd, continues with its growth story in the new year achieving 8% sales growth in January’ 17 over same period last year. The company has successfully amplified its lead over its competitors in the domestic market cumulatively in FY17. It has registered a whopping 5074-units sale over last year’s 4699-units in both domestic and international markets in the month of January. The commitment of the company to provide ergonomically advanced products to farmers has helped them maintain their momentum in growth. The tractor major has sold 4172 units in the domestic market and 902 units in the international markets during January 2017 as compared to 3864 & 826 units in January 2016. The company has strengthened its domestic presence by growing more than 17% and has also grown by 21% by shipping 10,084 tractors from April’16 to January’17. Placing India on the world map to success, Sonalika ITL is marketing its products in over 80 countries, including 24 European countries, its products range from 20HP to 120HP, which are manufactured in India. Sonalika ITL has established one of the world’s largest integrated tractor manufacturing plants equipped with world-class technologies in Hoshiarpur, Punjab. The new plant will provide a complete agricultural solution to cater to the need of the global and domestic markets, matching international standards in quality.